How Much Compensation Can I Claim Against the Council Or Local Authority? Personal injury claims can be a traumatic experience for any person. This is especially true for those who are simultaneously suffering multiple health issues as a result of their accident, whether it is financially, physically, or emotionally. These issues can then be made even worse if you are making a personal injury claim against local council. This guide will simply and easily present you with the information you need to successfully go through with your personal injury claim against the local council and ensure you receive the maximum amount of local council compensation for your injury. 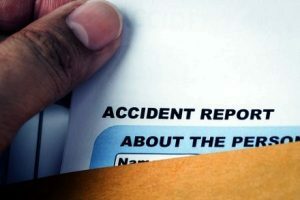 A guide to council or local authority accident claims. What is a claim against the council or local authority? What to do if you are involved in an accident and need to claim against the council Or local authority? Common injuries sustained from local council negligence. Claiming compensation for an accident that was the fault of the council or local authority. Making a claim as an employee of the local council. Judging the severity of an injury caused by the council or local authority. How to begin a compensation claim against the council or local authority. What can be claimed for against the council or local authority? How much compensation will I get from the council or local authority? No win, no fee council or local authority claims. Why choose us as your claims service for a claim against the council or local authority? This guide aims to inform and assist you with your personal injury claim for local council negligence. It provides comprehensive coverage of the most important issues to consider if you believe you have a legitimate claim following an accident. Additionally, we will detail a few tips to help you maximise the compensation total you receive. The guide will consider the different situations in which you may have suffered your injury, such as in a council-controlled public space, travelling on the road/pavement, or working for the local council. Each of these situations are unique and are worthy individual considerations if you want to make the most out of your claim. At the same time, we will explore how you should best go about making your personal injury claim against a local council or authority: what evidence you may need to collect, how the process for making a claim works, and how much compensation you are likely to receive for your claim. When you have suffered an injury as a result of an accident you may be able to make a claim against the local council for compensation. If your accident was the result of the council’s negligence – especially when roads and pavements are involved – then they may be responsible for paying you compensation. In this way, claiming against the local council for an injury is similar to claiming against your employer. In both cases, you must provide evidence not only of the accident occurring and the severity of your injury, but also evidence of the council’s negligence with regards to the accident. If the council could not have done anything to prevent your injury, then you are unlikely to receive any compensation. Firstly, you should gather statements from any potential witnesses. As well as eye witnesses, the accident may have been recorded by CCTV. For example, if you have suffered a neck injury as a result of a bookcase falling off a wall and crushing you while visiting a public library, statements from fellow library goers can be invaluable. Likewise, if the library has video recording, then this could be essential for your case. Secondly, you should find evidence that the council or local authority is liable for the accident as a result of negligence. This could be due to a number of things. To continue with the same example, the council may have not performed proper maintenance on the bookshelf or had insufficient safety standards concerning how many books should be placed on the shelf at any one time. In a situation such as this, they could be considered negligent. Thirdly, you should ensure that you have evidence detailing the severity of your injury. To return to the example, let’s say that after your accident you were taken from the library into hospital by ambulance and then given x-ray tests. You should collect the medical report and x-ray results to highlight the severity of your injury and plug any gaps in your claim. Expert medical advice, such as a doctor’s report, is ideal in this regard. Slips, trips, and falls – This could include foot or leg injuries sustained as a result of falling on a poorly maintained pavement or inadequate signage near maintenance works that failed to warn you of the danger. Injuries while working for the council – This could include sustaining a back injury attempting to carry something too heavy whilst working on maintenance or inadequate equipment training which results in an accident. A lack of training can be considered negligent in these matters. Car accidents – This could include neck injuries (such as whiplash) being sustained as the result of a pothole or an electronic malfunction causing traffic lights to display incorrect information and cause a collision. Injuries as a result of poor maintenance – This could include a head injury sustained as the result of a piece of playground equipment breaking or a facial burn suffered as the result of a faulty pipe at a council-run school. Your ability to claim compensation for an accident that you believe to be the fault of the local council is typically linked to any potential negligence. Whether or not you are entitled to compensation depends upon the severity of your injury – which is discussed below in greater detail – and whether or not the local council can be considered to have been negligent in their duty of care. For the council to be considered to have acted in a negligent fashion, they must have ignored or failed to deal with a particular health and safety standard. For example, if your accident occurred as the result of you falling on an uneven pavement, then your case could involve suing council for uneven pavement. By not maintaining the pavement to a certain standard – or initially laying the pavement to a poor standard – the council has acted negligently and failed in their duty of care towards any individuals using the pavement. This is what gives your claim legitimacy against the council. To use a different example, consider a situation in which you have suffered severe facial burns as the result of a hot water pipe bursting in a public toilet. If the council adhered to the necessary safety standards when initially installing (and later inspecting) the pipe, then your claim would be illegitimate as the council has not acted negligently. However, if the council had ignored standards and failed to properly inspect the pipe, then your claim could be legitimate and you could be entitled to compensation as the result of your injury. For employees of the local council, the process of making a claim can be different. If you are employed by the local council and suffer an injury while at work, you can still make a claim as the result of employer negligence. In a similar fashion to private individuals making claims against the local council, you will have to prove that some form of negligence occurred on the behalf of the council before you are entitled to any compensation for your accident. An example of an illegitimate claim in this regard could be a council administrator suffering from moderate back pain as a result of falling out of his chair at work. This particular administrator, however, fell as a result of leaning too far back in his chair and contravening his employer’s advice and guidelines. If he attempted to begin suing the council after a fall it could possibly be denied, as he ignored the health and safety procedures the council put in place. However, an example of a legitimate claim could involve a council-employed gardener who tends to public green spaces. If his hand were to be injured by another employee, he might have a claim. Depending on the situation, it might have been that a lack of training with dangerous tools lead to the injury. This claim could be considered legitimate, as the council is directly at fault for the accident through their failure to provide the correct safety training. Another legitimate example of a compensation claim could be if you are a council-employed person who breaks their ankle after tripping on an uneven pavement. You may begin the process of suing council for uneven pavement and your claim against council pavement would be successful, providing the council was deemed to be negligent in leaving a section of the pavement uneven. However, if this pavement was maintained properly by the council, or matched up to current health and safety standards, then your claim could be considered illegitimate. The relationship between the claimant and the council in these circumstances can often be considered similar to the relationship between a claimant and a private sector employer. Many of the same factors apply. Minor – this may include injuries such as soft tissue damage, or a restriction of movement in your neck or shoulder. While clearly affecting you as an individual, these injuries are not traumatic and heal relatively quickly. As such, injuries considered ‘minor’ have the smallest payouts for compensation. Moderate severity – this may include injuries such as long-term neck mobility issues, long-term back pain, or loss of function in one of your legs. The long-term nature of these injuries leads to a larger compensation payouts but the conditions will still generally improve over time with medical treatment. Severe severity – this may include injuries such as permanent paralysis resulting from a neck or back injury, loss of sight in both eyes, or the amputation of one of your legs. These injuries have a massive effect upon your life, causing permanent damage that may require continued medical treatment and costs. As such, these injuries result in the largest compensation payouts. The process of beginning your compensation claim against the council could not be simpler, thanks to the support provided by our law firm. As previously mentioned, the first step you need to take is to gather the necessary evidence to support your claim. This could include almost anything but tends to be made up of witness statements, medical reports, and photographic evidence. This is to ensure you can prove the events as described by your claim in court. The next step you should take is to contact our company, either by calling our phone number 0800 073 8804 or by filling out a contact form and letting us know when we can call you back. In a free consultation session, we will provide an honest, rigorous assessment of your potential claim, including noting how successful it might be. This is largely based on the evidence you provide. After this session, you can choose to move forward with our team. From here, we can proceed and initiate the process of bringing your compensation claim to court, completing further fact-finding such as looking at CCTV footage, or arranging local medical assessments to evaluate the severity of your injury. General damages – this includes unspecified and often intangible damages such as pain and suffering as a result of the injury, effects upon day-to-day life. Special damages – this includes measurable damages such as direct loss of earnings, cost of home-care as required by your injury, and damage to property such as your vehicle. Medical costs – this includes the cost of medical tests and treatments, either those not covered by public health care or those sought out from either private health care providers or overseas health care providers. Travel costs – this includes the cost to travel between your home and hospital appointments, as well as potentially including travel to foreign countries if treatment is sought overseas (though this is rare). Clearly, there are many different ways in which you might be owed compensation if you sue council for injury. However, the amount of compensation that you can receive for any of these costs does still heavily rely on the severity of your injury and the kind of injury that you have suffered. As such, these costs can vary drastically. As you can see, the potential compensation can vary depending on the specific nature of a claim. The average amount of compensation varies from just £350 up to £310,000, depending on the type of injury you have suffered. At this point, you may be asking yourself exactly how to sue the council for negligence and how to receive the compensation that you believe you deserve. It can be incredibly helpful to look into a particularly illustrative case in which an individual fought for (and won) compensation claims against local councils. The individual, herein known as the claimant, fell down an improperly secured manhole cover whilst walking down the street in 2012. As a result, the claimant suffered significant emotional and mental distress, moderate muscle damage in their legs, and permanent pain and nerve damage. The claimant was able to successfully secure £20,000 of compensation from their local council; mainly for medical costs but also for the emotional strain that the experience had caused. the moderately severe injuries that they had suffered directly as a result of the accident in question. the fact that an identical issue was discovered by the council several months before the accident and no action was taken to rectify the problem. Cases such as this one demonstrate the extent to which it is possible for you to successfully make a claim against your local council following an injury. With the right law firm, this process can be made much easier. For many, the most discouraging aspect of any potential compensation claim against a council or local authority will be the possible legal fees. The legal fees charged by certain claims agencies can be incredibly prohibitive. If you are already experiencing financial issues as a result of your injury, then such fees can appear extortionate and unfair, hurting you when you are at your most vulnerable. Even worse, your fees may even exceed your compensation. However, our company wants to help you avoid this kind of stress during the claims process. If you choose our company to represent you, we will ensure your claim will proceed using our ‘No Win No Fee’ policy. As a result, you can greatly reduce any concerns regarding your financial stability throughout the claims process. This policy, also called a ‘Conditional Fee Agreement’ involves our promise to only charge for our services on the condition that we win your compensation claim in court: if your claim fails, you won’t have any legal fees or debt to add to your worries. If you are hoping to claim compensation local council our legal representatives will be doing their best to have your claim dismissed. Therefore, it is critical you receive proper, expert legal representation yourself. When you decide to make your personal injury claim against the local council, you should choose our company. Our years of experience in dealing with personal injury claims against local council makes us the logical choice when dealing with these types of claims for damages. It has enabled us to gain a deep understanding of how to maximise your chances of being successful in your compensation claim. Our team of legal experts has spent years dealing with personal injury claims. As such, you can rely on our ability to deal with your compensation claim professionally and efficiently, leaving nothing to chance or luck. We can assist you in your claim along every step of the journey and give you expert advice on how to deal with the aftermath of your accident. Our desire to see justice done in the world is highlighted by our ‘No Win, No Fee’ policy. This emphasises our company’s commitment to justice, especially for those who feel they are hindered due to their financial status. Our approach not only limits the amount of stress that you will face throughout the claims process, we can even arrange for a local medical evaluation to strengthen the evidence you have in support of your claim. We cover every eventuality. If you believe that you have a legitimate claim against the local council, or even if you are just wondering about your rights following an accident, we are ready to receive your call. You can take the first steps towards making a claim either by filling out the form provided or by calling the number below. After that, we can get started on resolving your case in the best possible manner. Call 0800 073 8804 now and our company will be able to provide you with free advice on how to proceed with your claim.